Your message has been sent to Engineering Journal IJOER . Like authorSTREAM? Give us a +1! Engineering Journal-IJOER publishes articles of international interest from all areas of Engineering and Science research. Engineering Journal-IJOER is a registered organisation broad-based open access and publishes most exciting researches with respect to the subjects of our journal. 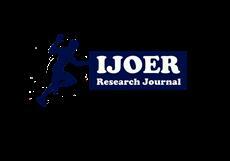 Engineering Journal-IJOER is being indexed and abstracted by all major global current awareness and alerting services. Engineering Journal IJOER's Podcasts ..